Woodland foraging is part of mainstream cooking – it’s also part and parcel of modern cocktail creation. The ability of a barman to bring a bar’s surroundings to life within the ingredients list is a rare skill. To craft a menu that creates a distinct sense of place whilst containing a certain authenticity and attention to detail brings about an association between the drink and the guest. With that in mind our Head Barman has created a range of tempting cocktails with hits such as the ‘Cumbrian Express’ made with meadow sweet infused vodka, coffee liqueur and local coffee from Red Bank Coffee Roasters or there’s the aptly named ‘Forager’ made with pineapple weed infused vodka, homemade ginger beer and lime. 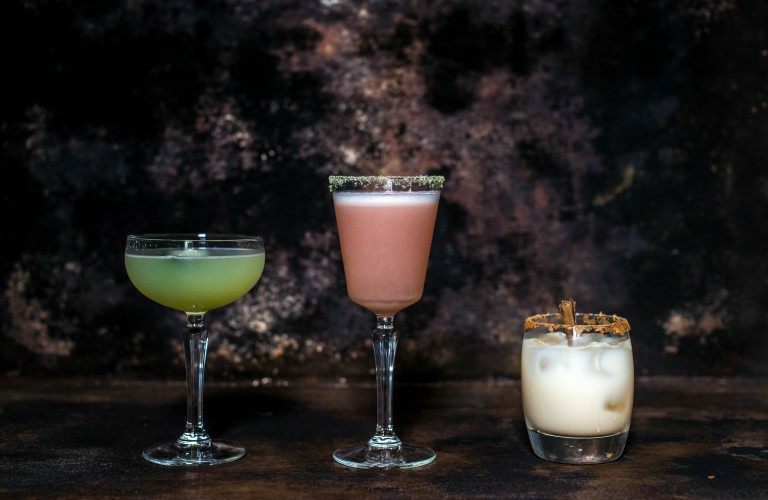 Equally tempting are our non-alcoholic, or ‘mocktail’ drinks, designed to be fun and packed with fresh flavours – perfect thirst quenchers. Our refreshing numbers, including ‘The Grass-mere’, made with cucumber, pineapple sage, lemon and apple – ideal for cooling down after a day in Grasmere’s great outdoors.